Here is the biscuit many of you have been waiting for. 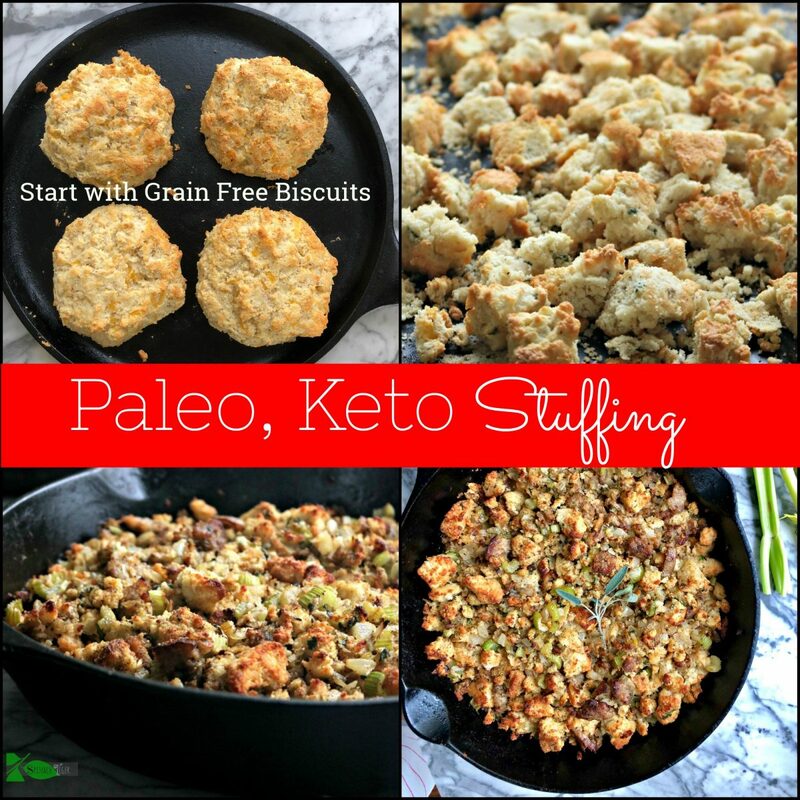 Grain Free Biscuits that are low carb, keto, paleo, gluten free and diabetic friendly. Make sure to scroll all the way down to watch the video. I had to work very hard to make grain free biscuits that could join the line up. If this is your first time visiting here, you may not know that my biscuit recipes have become viral posts. 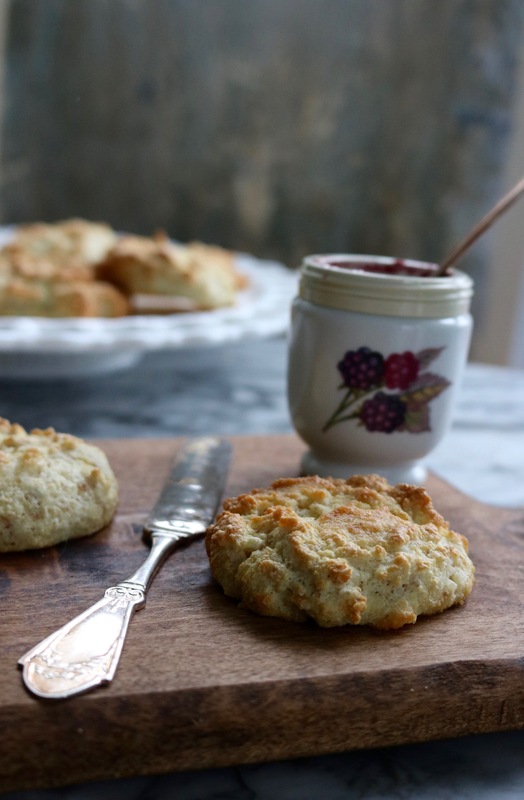 Both my regular all purpose flour, Southern Fluffy biscuit and my Southern Fluffy Gluten Free biscuit are in the top ten every single day and get the most positive comments. Here was my problem. I like to eat low-carb and gluten free. Regular gluten free biscuits are good, but they are not low carb, as they are made with rice flour. 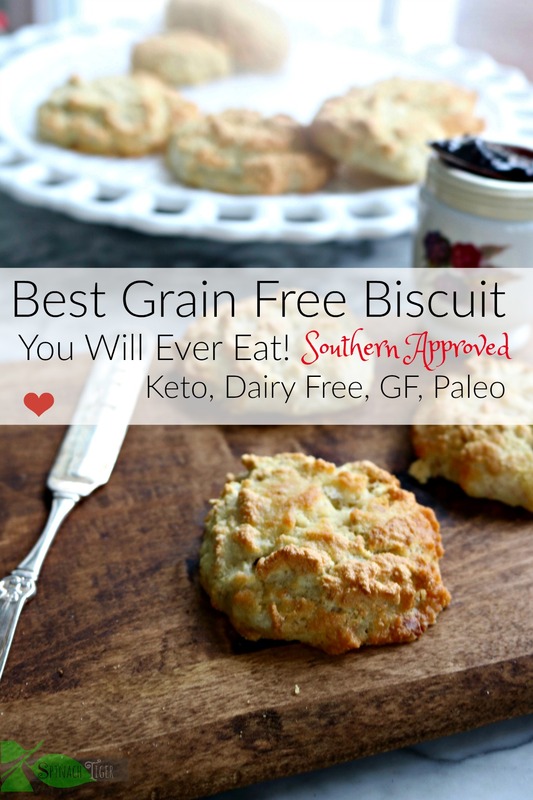 I knew people were looking for a GOOD grain free biscuit that can be eaten while on a strict low-carb, keto or paleo diet. They are also good for the low calorie plan if you go in that direction. 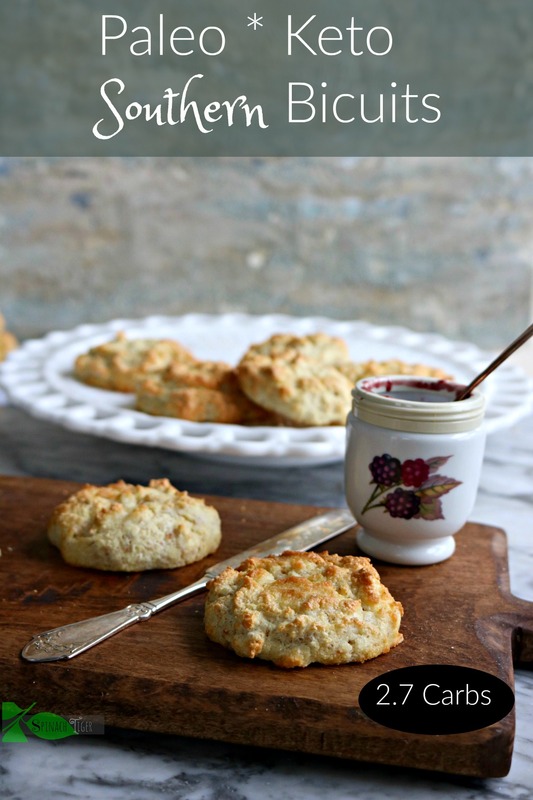 The extreme good news is that these grain free biscuits will not spike your blood sugar. I can’t even stress how important this is for diabetics, who have very little choice for breads that they don’t have to fear. But, this is Spinach Tiger and again if you’re new, my food has to be amazing. Not just get you by food, because my food philosophy is that it is as important to the human race (beyond survival) as language is. Bad food is like bad grammar and misspellings that mess up a beautiful speech or piece of writing. Good food is like a novel that feeds your soul and changes your life. Please check out my latest grain free sweet potato biscuits. Here the grain free biscuit shows up with an oven-fried egg Recipe here. Will these grain free biscuits be life changing? Yes, if gluten and grains cause you health problems. That’s not all of you, but it’s many of you. When I gave up grains this year, my hip stopped hurting. I actually had a limp, and it wouldn’t go away. I am now pain and limp free. This recipe was heavily tested in my kitchen. I made 9 different batches and did blind taste tests with my husband who is from the South and knows how a biscuit should taste. 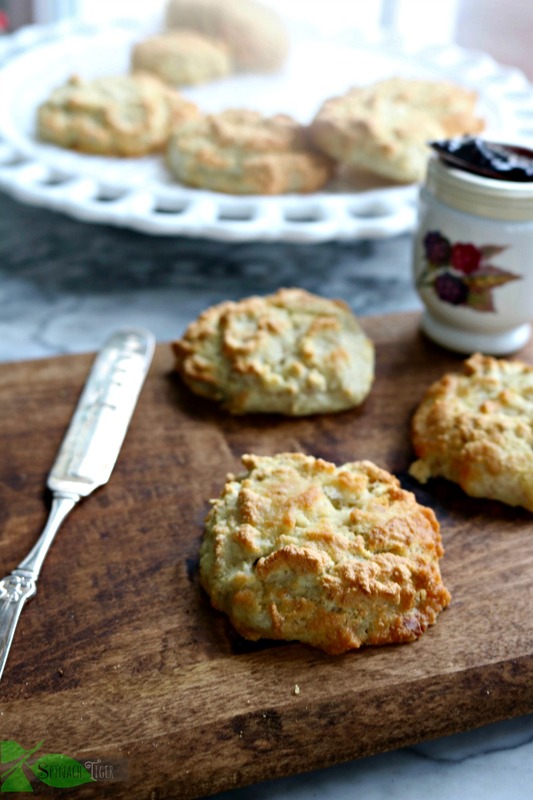 We test 9 different grain free biscuits recipes before we decided to publish. The criteria for my grain free biscuits included taste, inside texture and outside texture. The biscuits had to rise enough to be fluffy inside and yet crispy on the outside. They needed to be light, but not so light that they had their horrible air texture a lot of low-carb breads have. I played around with just using almond flour. I tried a recipe that is all over Pinterest and it was terrible, too eggy and spongy. Like my husband says, you can put yourself in the oven, call yourself a biscuit, but you’re not a biscuit. I added in golden flax and the texture improved considerably. However, it still wasn’t quite right. I kept the golden flax steady at two tablespoons, which I discovered is quite magical in arranging texture. Then I tried different combinations of almond flour and coconut flour. In the end, adding two tablespoons of coconut flour made the difference between good and very good. I tried adding extra unsalted butter, but the biscuits would be swimming in the butter after they baked. Two tablespoons is perfect. I tried different amounts of coconut flour. While one tablespoon of coconut flour seemed good, two tablespoons proved better. We did a blind taste test leaving out the coconut flour and the recipe with coconut flour won for taste and for texture. I tried various amounts of baking powder. Two teaspoons beat one teaspoon which beat 1/2 teaspoon. Salt is important, but go lightly. 1/2 teaspoon is enough. As far as egg whites, I beat them stiff and I weighed them first. You need at least 150 grams of egg whites, so use extra large eggs. They give the biscuits air and fluffiness. Since this original post, I’ve discovered using an ice cream scoop works best to drop these biscuits onto a baking pan. 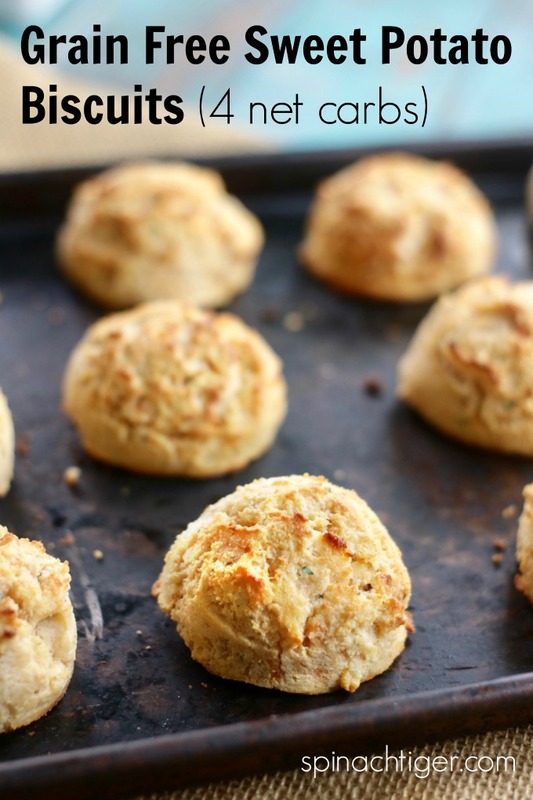 Use a scale to weigh all the dry ingredients when making grain free biscuits. This is so important to yield a consistently good biscuit. I even weigh the egg whites. I like this scale. I took some biscuit tips from the biscuit that made mine go viral. I froze the butter and dry ingredients and kept the baking temperature high. 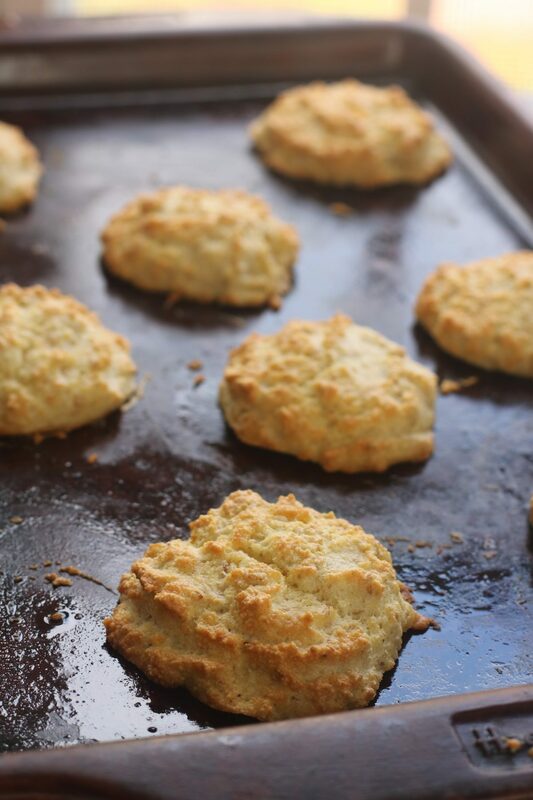 The grain free biscuit has no flour and it’s not fair to compare it to my southern fluffy biscuits. However, I used that as my standard to make sure that although an almond flour biscuit is different, it can be equally satisfying the way a gluten heavy biscuit is, but there will be no blood sugar spike. 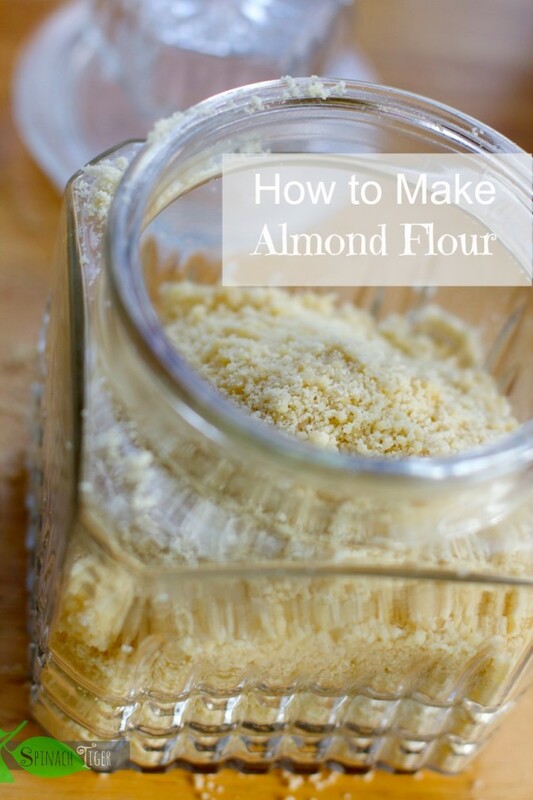 You can make your own blanched almond flour. Blanched means you remove the skins, which results in a finer flour. Or you can buy it. I like this brand. Make the grain free biscuits larger for sandwiches and burgers. 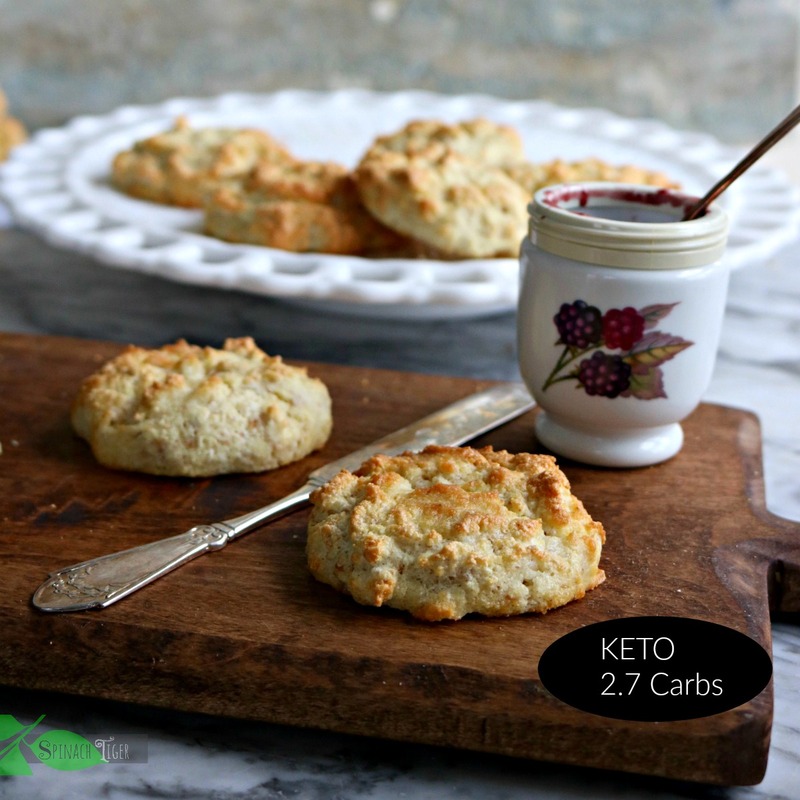 The recipe makes 10 biscuits, each 2.7 carbs and 1.5 net carbs. If you want a sandwich or a burger like I often crave, make 4 or 5 instead of 10. It’s still low carb and low calories. Cut them cross wise and put them back in the oven to crisp up a little and then enjoy sandwiches. 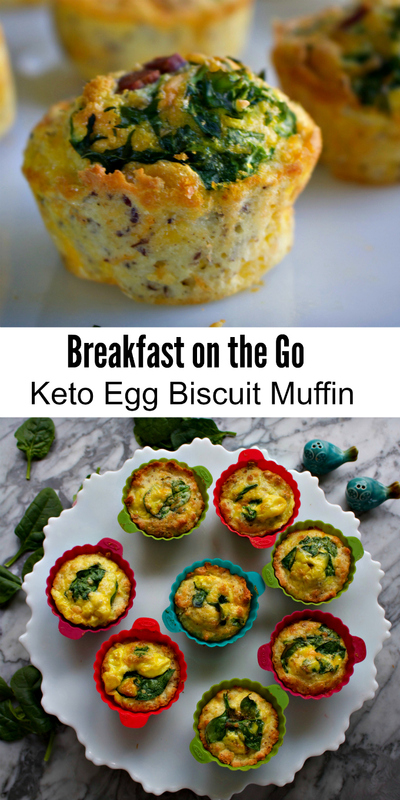 Stay Tuned for many more low carb, Keto Recipes. If you are Diabetic, or anyone in your family is diabetic, please know you can eat big fat wonderful food, if you know how to follow a keto diet. 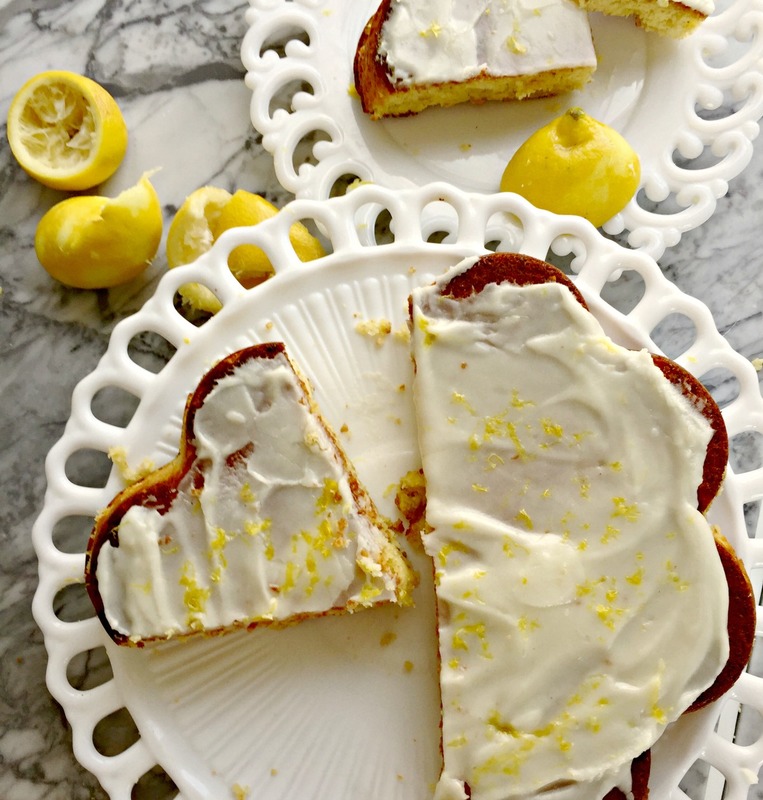 The next recipes will include a low-carb chicken tenders recipes and a divine low carb keto compliant lemon olive oil cake. 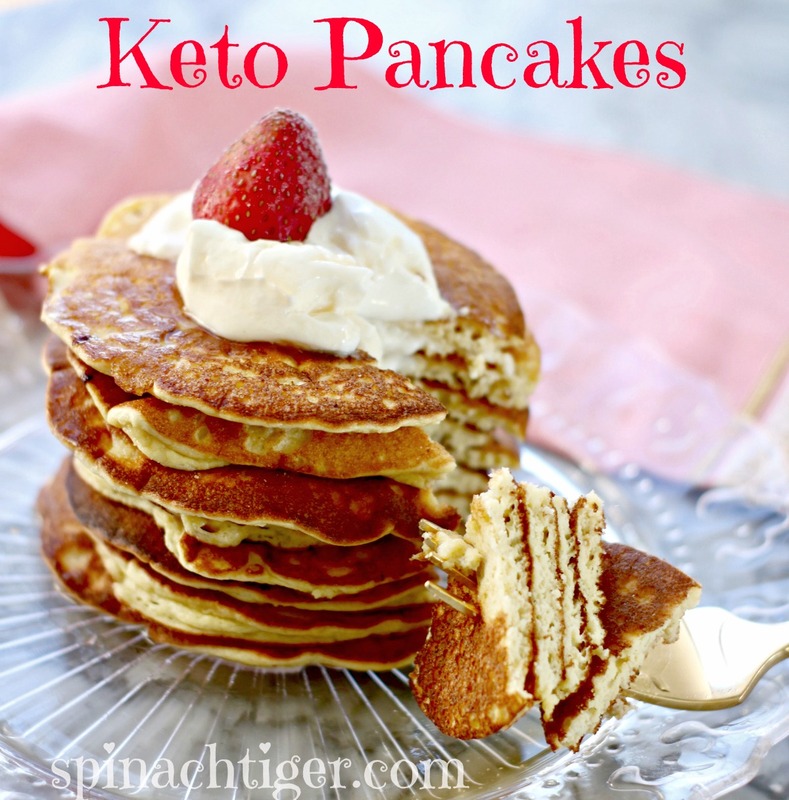 Keto Pancakes get rave reviews. This site contains Amazon affiliate links which learn a small commission but do not raise the cost. 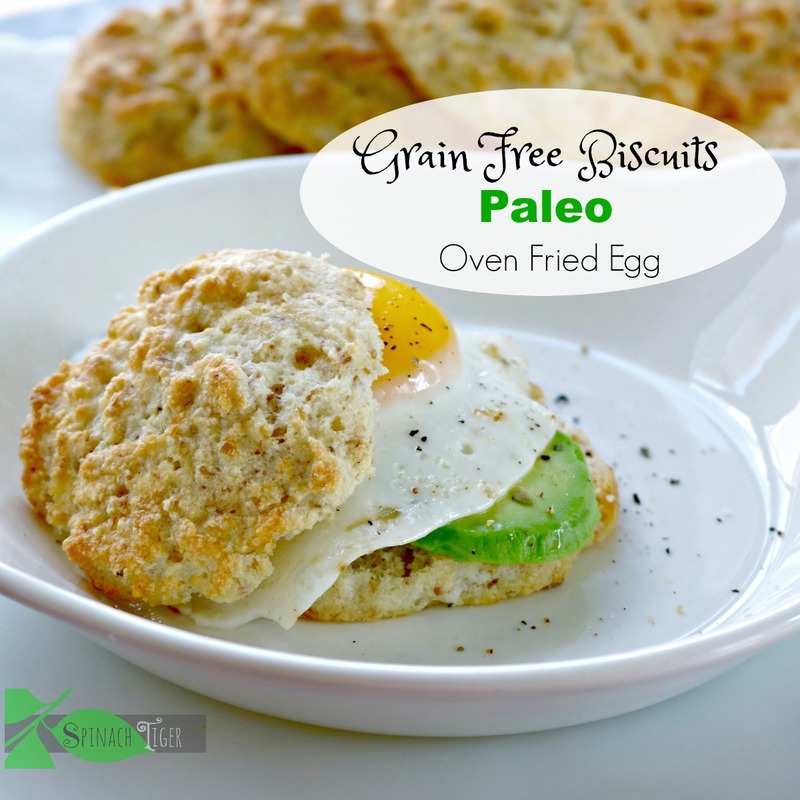 Paleo Grain Free Biscuits made with almond flour and coconut flour. Perfect for a low carb or diabetic diet. You might want to scroll up and watch the video to see the technique. Cut butter into pea sized pieces, place in freezer. Measure all dry ingredients. Mix together well. Once butter is frozen, mix with dry ingredients, place in freezer. The VIDEO shows forming into a round disc. Since then, I've discovered an ice cream scoop works better and gets a higher biscuits. This will make 8 to 10 biscuits. the biscuits will increase in size. Bake on a baking stone if you have one, or use parchment paper. Spray with baking spray. I find that a baking stone or griddle works best. A cookie spatula works great to remove them, as it is extra thin. 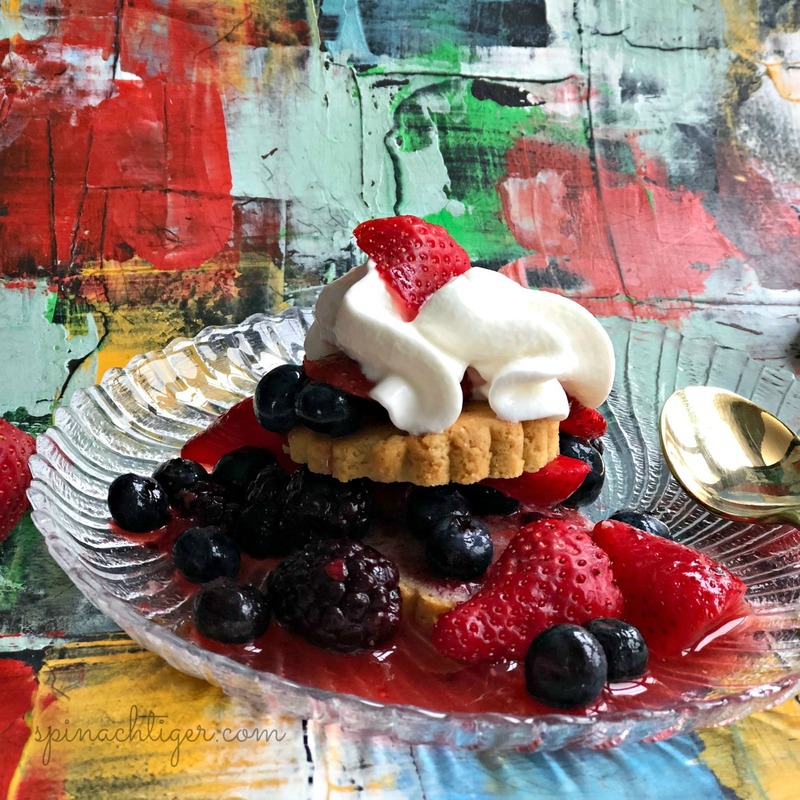 Editor Note: I recently remade these adding FIVE egg whites You might want to try it that way! Also you can make these into four large biscuits for sandwiches. This November 2018, I used this basic recipe to make amazing sweet potato biscuits, adding in ¼ cup almond flour and ¼ cup mashed sweet potato. I just made these and they turned out 1) little too salty (could have probably used a tad bit of sugar) & 2) a little on the dry side. Also, they didn’t rise at all…is that normal? I don’t see the oven temperature, baking time, or weight of ingredients. I don’t see a printed recipe, only the video. I want to make these! Please help. 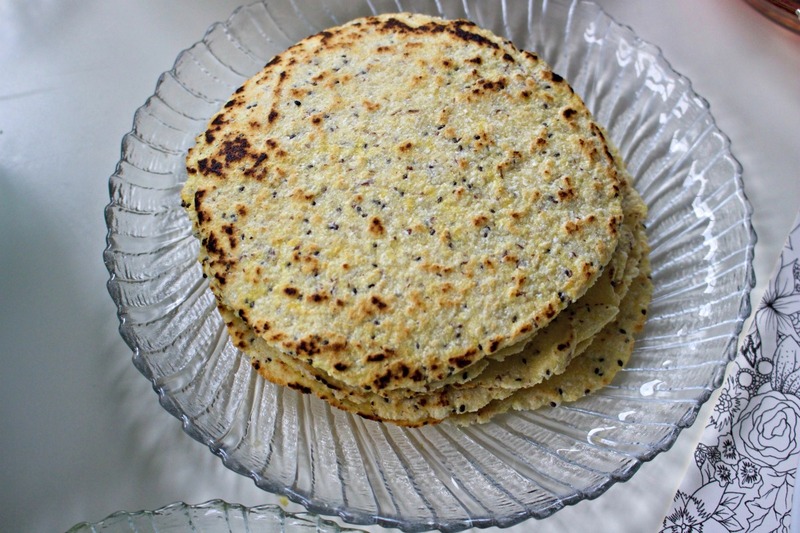 I would be interested to know how to make a good keto biscuit without eggs and flax/linseeds which i can’t digest. I like the scientific approach to your posts. Any alternatives to flaxseed? I’m all out! Maybe it’s because I use kosher salt in my cooking or because my taste buds are more sensitive to salt, but I found these to be just a little too salty for my taste. So next time I made them, I halfed the salt and added 1/4 tsp stevia and they are divine!! Perfect biscuits with just a hint of sweetness. 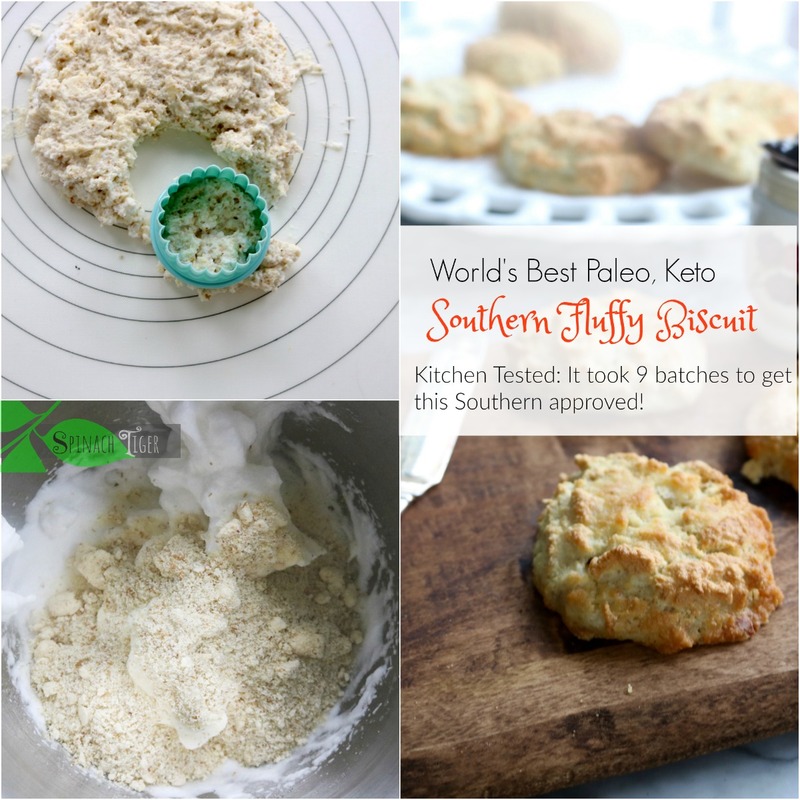 Thank you for a wonderful recipe, these biscuits are now a staple for my keto diet! Angela, you are amazing! Thank you for taking the time to perfect your recipes, and even more thanks for sharing them. Im not paleo or GF but i try to vary my grains. I am in love with your biscuit recipes. Your GF biscuits with the 1to1 flour are just sinfully good. I mean really, quit my diet good. So, thank you for also making this delicious low carb biscuit to help distract me when needed. These biscuits are not eggy or spongey, like the other paleo baking I have tried and the recipe is so precise. I weighed all the ingredients on a kitchen scale and baked 8 perfect biscuits in 10 minutes on a pizza stone. Any ideas to make it dairy-free? Would ghee or coconut oil be a good replacement for the butter? Yes Ghee would work. But do freeze it first. Not sure about the coconut oil. I will try that and when I do I’ll let you know. Here’s how I would do it. Freeze the ghee (or coconut oil) in tiny pea sized pieces. Mix all dry ingredients. Then add the frozen fat to dry ingredients. Now turn on your oven, and put in freezer.By the time the oven is ready, the mixture should be cold enough to work well. Angela, did you try coconut oil? I need it to be completely dairy free. Thanks. I’m sure that will work. My friend uses Earth Balance because she’s dairy free. I know you make amazing biscuits so your standards are high. These look fabulous. Thank you so much for doing such exhaustive recipe testing and development! I can’t wait to try these! 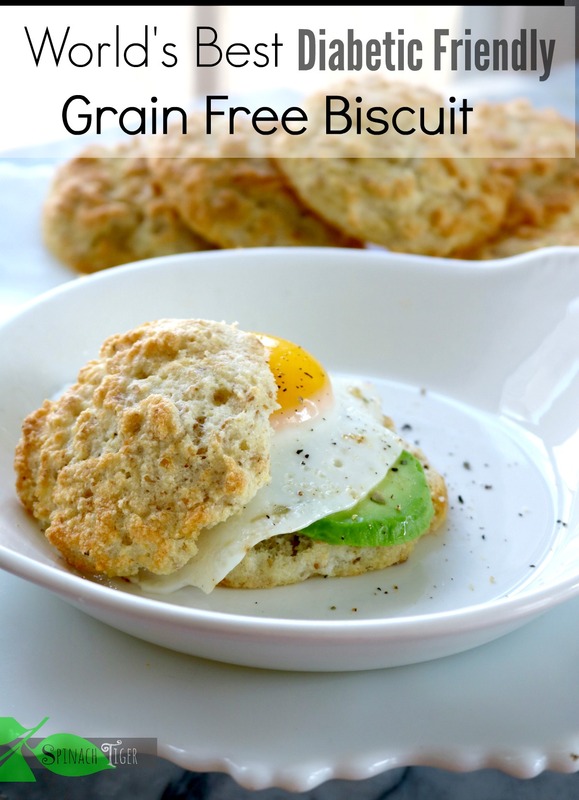 I never thought a grain free biscuit could be this good. Wow!! I definitely want to try this Gluten-free option. I LOVE biscuits but unfortunately can’t eat them at restaurants or anywhere I go (unless I make them myself, but they’re never that good). Do you think more establishments are going to go Gluten-free with more things in the future, or is it simpler to just do it the traditional way? I am hoping that more restaurants will offer gluten free options. We have to keep demanding. I know I see that many pizza places are offering gluten free and that’s a good sign.